Web Design Can Save Your Website! 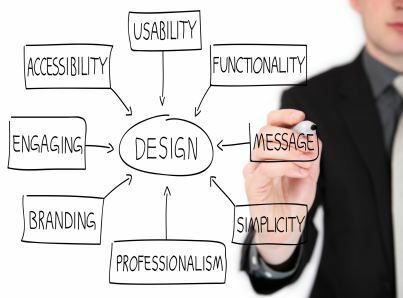 How Professional Naperville Web Design Can Save Your Website! Chances are good that if your company has ever launched a website, that it was done completely incorrectly! In a rush to get the site up quickly, companies are going about it in the entirely wrong way. Throwing a website up just to have a web presence seems to be a good idea — after all customers can’t purchase things from you or learn about your business if you don’t have a website. However, in this case, taking the time to do it correctly is a better idea than creating one that falls flat. There may be someone in your company who calls themselves a ‘website designer.’ You might even think you’re incredibly lucky since this employee has taken a class or has created a custom design for his or her own blog. After all, since this person is already in house, you won’t need to hire a Naperville website designer in order to create your site. Jackpot, right? Wrong! Sure, this person will be able to get a website up, but you’re missing out if you’re not using a professional company that provides Naperville website design services. They will be able to create a site that has the features that your business needs. This employee can create a site, but do they really know what you need? Do you? A Naperville website design company shouldn’t just toss up a site so you can say you have a web presence. Design & Promote takes the time to evaluate your current site (if you have one) and gives you concrete steps to take to fix anything that’s broken. We’ll look at much more than just your design and colors (though our Naperville web designers know this is important too!). Our analysis will take a look at your closet competitors, but also your website copy. If your words aren’t converting clients, you’re missing out on potential sales. It’s only once all this is done that we’re ready to start our web design process. As one of the most knowledgeable Chicago SEO companies, Design & Promote knows why website copy is just as important as the website design. We’re highly experienced in crafting website copy that inspires visitors to take action. Our content is readable by humans, but optimized so that the search engines can easily point searchers towards your site. Don’t know what a meta description or title tag is, or more importantly, how to write them effectively? We do. We can also help with improving your search engine rankings through a number of methods. When interviewing Chicago SEO companies, ask what they do to help your website to the top of the search engines. However, it’s not just getting to the top that’s important — you want to stay there. The best Chicago SEO companies, such as Design & Promote, will have a targeted plan that will help your rankings stay at the top of the search engines. We know that the work isn’t over once you get to the top. If you’re in the beginning process of creating a website or your current one isn’t working, don’t continue to go down the wrong path. Creating a website that doesn’t work is a waste of time for everyone involved, not it mention that it wastes money and other valuable resources. The planning process should take just as long as the actual design so don’t be swayed by a Naperville website design company that promises that they’ll have you up and running in just a day. Take the time to do it right and you’ll have a Naperville website design that you can be proud of.